The Holland America Line cruise ship Westerdam sits in dock in Ketchikan, Alaska, on Thursday, June 25, 2015. Officials say eight passengers on an excursion off the ship and a pilot were in plane that was found crashed against the granite rock face of a cliff about 20 miles northeast of Ketchikan, Alaska. The conditions of the nine onboard the plane weren’t immediately known. ANCHORAGE, Alaska (AP) — A sightseeing float plane carrying eight cruise ship passengers and a pilot crashed against the granite rock face of a southeast Alaska cliff Thursday, and rescuers were trying to reach the site 800 feet above a lake to determine if there were survivors. The DeHavilland DHC-3 Otter turboprop crashed under unknown circumstances above Ella Lake near Ketchikan, Federal Aviation Administration spokesman Ian Gregor said in an email to The Associated Press. The conditions of those on board weren’t immediately known, Alaska State Troopers said. Promech Air, an airline based in Ketchikan, operated the shore excursion sold through Holland America Line, the cruise ship company said in a statement. The eight passengers are guests on the Westerdam, which is on a seven-day cruise that departed Seattle on Saturday. 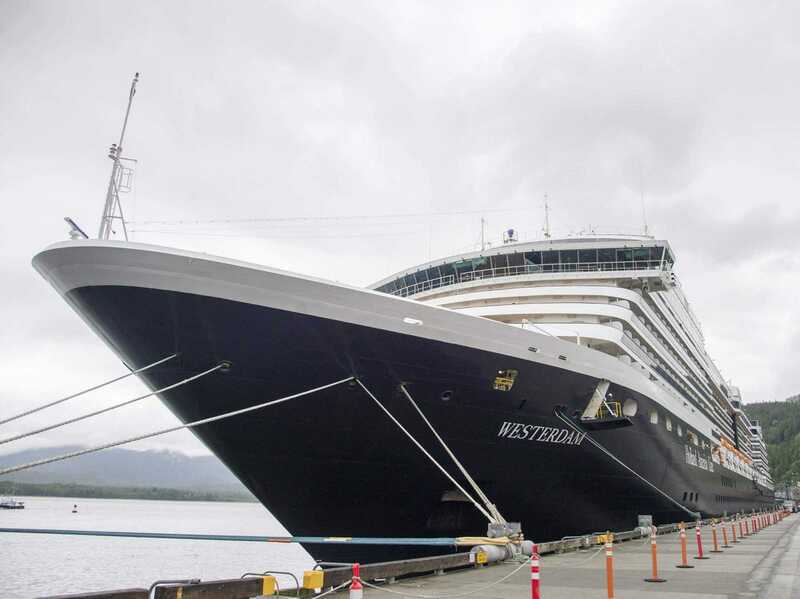 The Ketchikan Daily News reports the Westerdam had been scheduled to leave the city about 20 miles from the crash site at 1 p.m., but it remained in port Thursday evening. Promech Air didn’t have an immediate comment beyond confirming that the downed plane belonged to the company. The airline’s website advertises tours of the 2-million-acre Misty Fjord National Monument in its float planes.